To take a rock solid, frozen ball of delicious. And be ladling it into serving bowls in 58 minutes. You’re going to need an Instant Pot or electric pressure cooker. 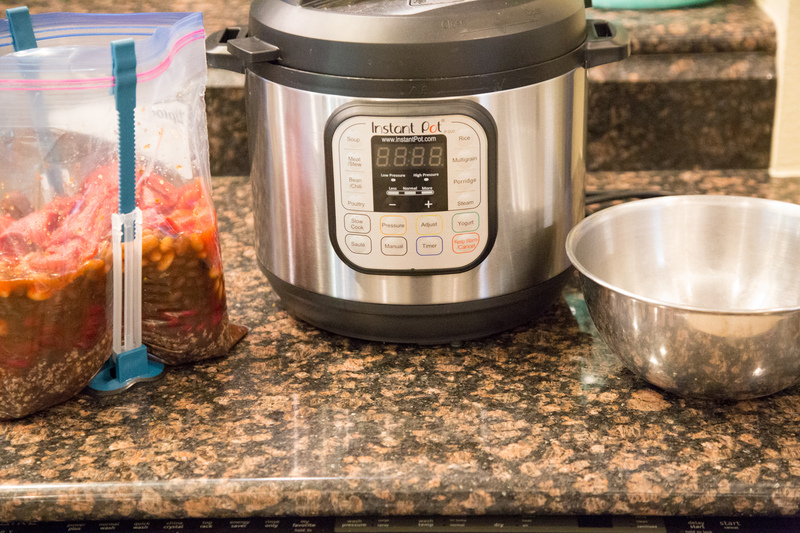 Times and notes below based on Instant Pot DUO, 6 qt. 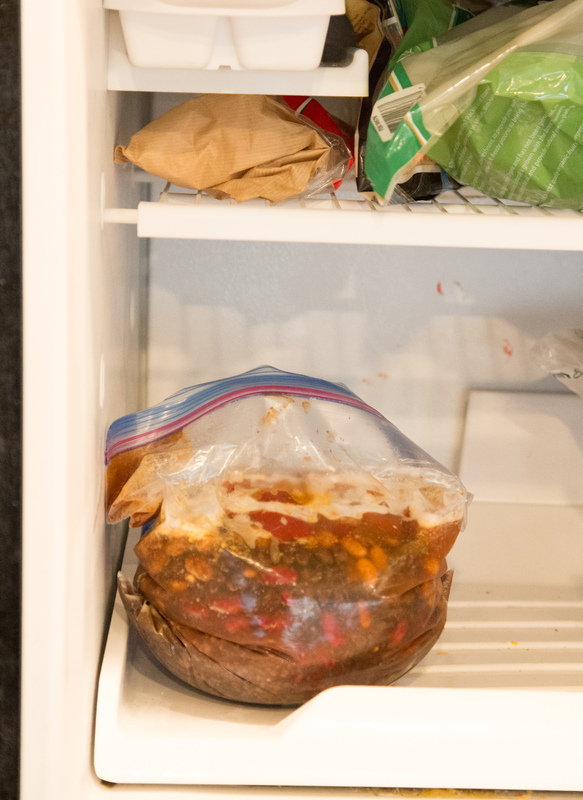 Step 1 – Fill freezer bag with ingredients using, using FreezEasy Bag Holders. Step 2 – Seal bag and place into round bowl, that is smaller in diameter than your EPC insert. 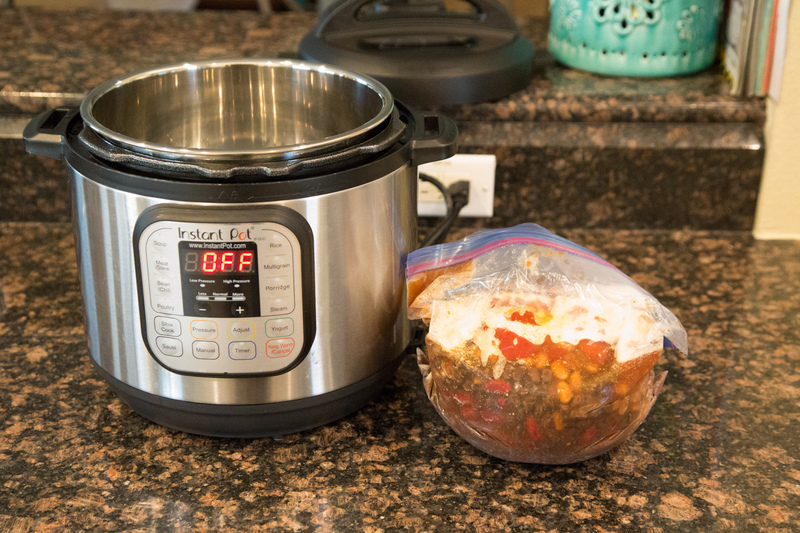 Step 3 – Place bowl and meal into the freezer and let freeze overnight. Remove bowl once it’s the “frozen ball of delicious” is formed. 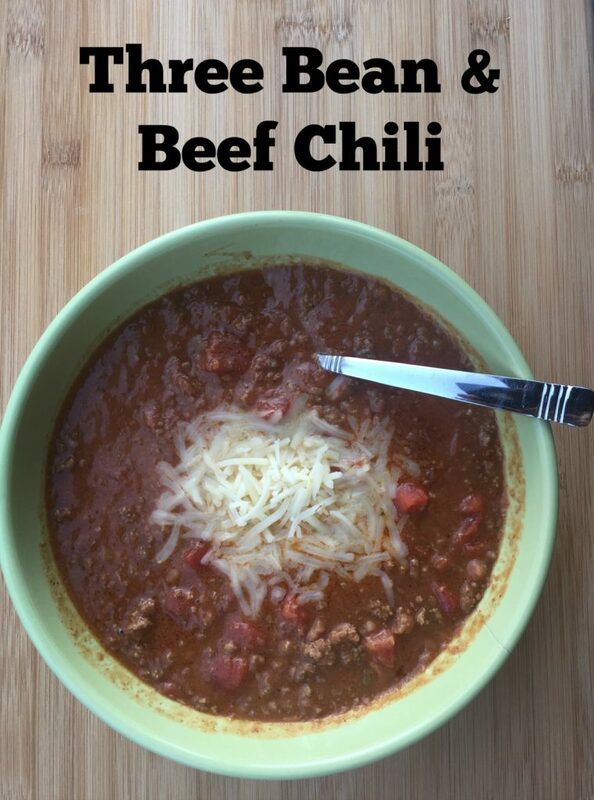 Step 4 – When you are ready to make the chili, place it in a bowl of warm water for 5 minutes to “quick thaw.” This is just to loosen the frozen food from the baggie. Step 5 – Pull the bag out of the bowl of warm water and open it up. Flip it upside down directly into the EPC insert. Add 1 to 2 cups of water or broth. 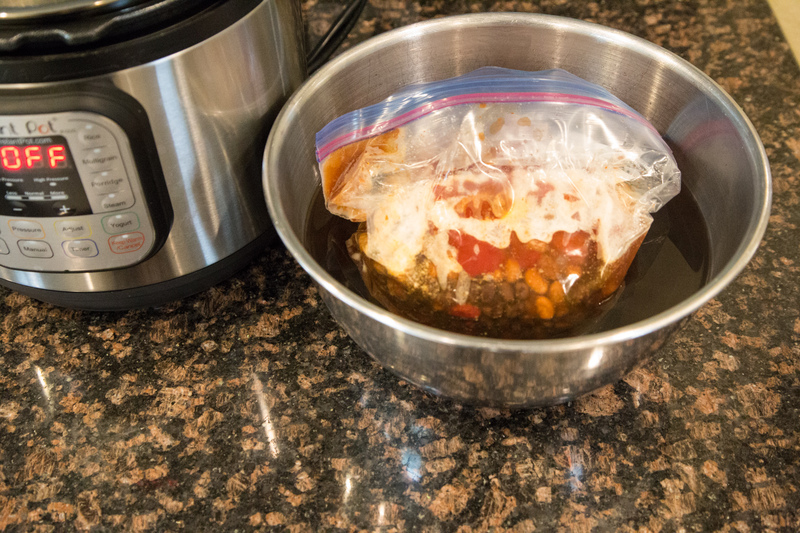 Step 6 – Wait 23 minutes for it to come to pressure, then wait 30 minutes to finish cooking. Step 7 – Quick Release & ladle into bowls and top with favorite toppings. With about 3 minutes of “hands on time.” Most of the defrosting and reheating happens inside the EPC. What a gift….this is such a gift for the busy, stressed out home chef! 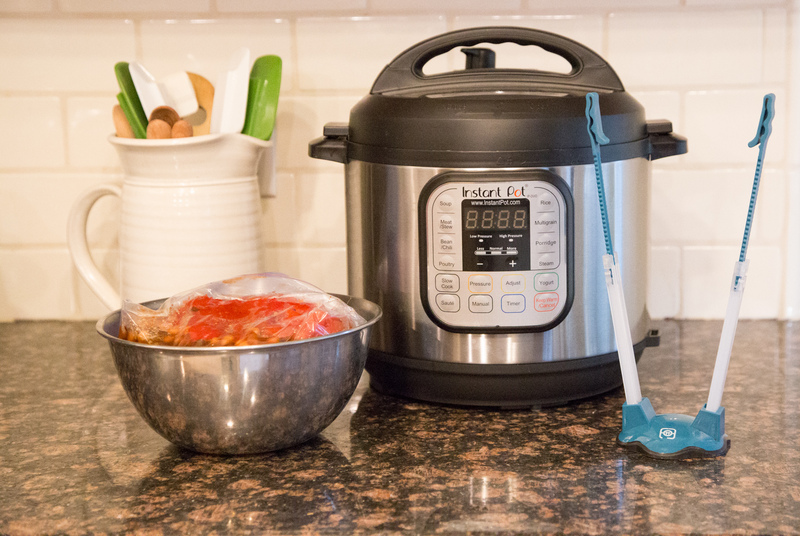 If you want to learn more about electric pressure cooking (EPCing), then please check out my new online class Electric Pressure Cooking 101 (EPC101). You get instant access to the entire class when you signup and you can go through the class online, at your own pace and convenience. Learn more at electricpressurecooking101.com! Pre-brown ground beef in skillet, or brown in the EPC insert using Saute feature. 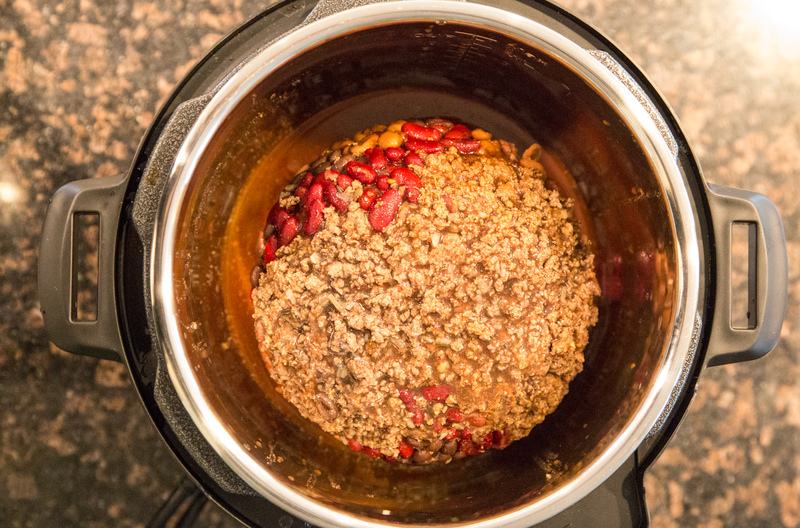 Add all other chili ingredients to EPC Insert of pressure cooker and close the lid. 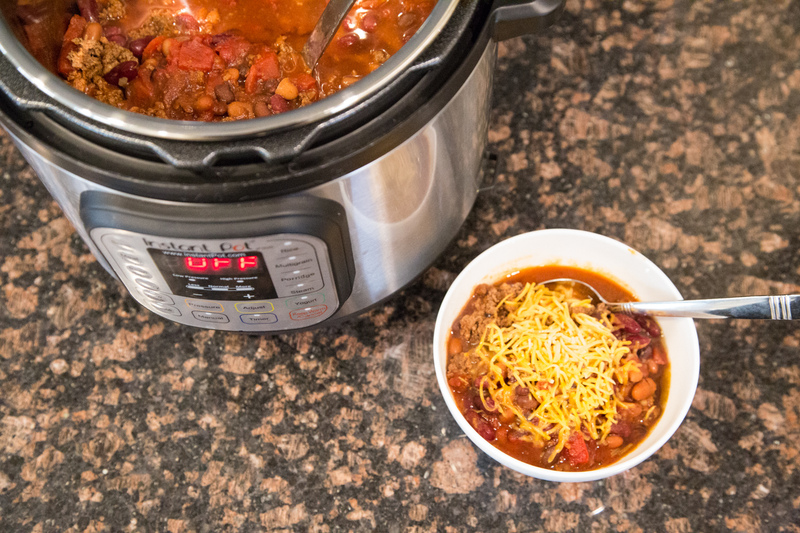 Serve Three Bean & Beef Chili with shredded cheese garnish, and crackers or loaf bread. 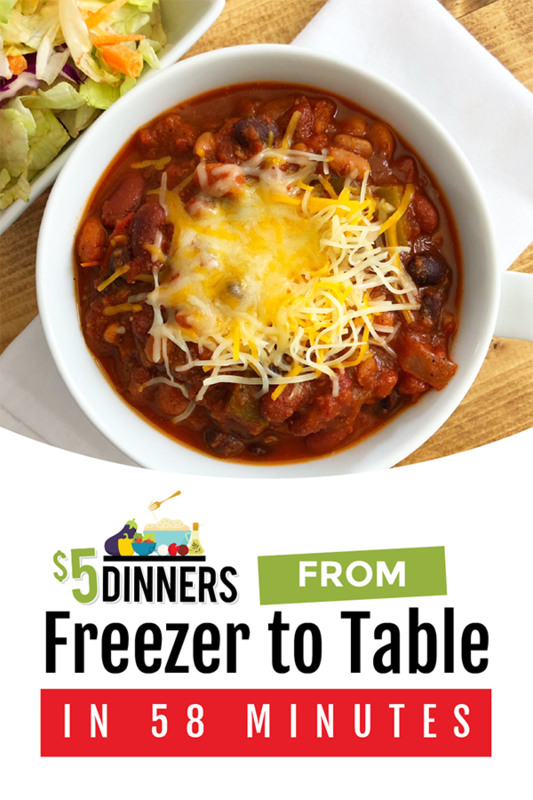 Yay, Instant Pot recipes/meals! Please do more and also a search category on your website! Thanks so much!!!!! Just to clarify, since the recipe looks like you’re immediately cooking it, if you’re preparing this as a freezer meal, you still pre-brown the beef before freezing and then let the rest of the already frozen ingredients cook in the pot? I have this question too. I’m thinking that since we’d have to brown the beef before we tossed in the beans/tomato juice/etc (if we were prepping and cooking same day), then we’d brown the beef on prep day and freeze it with the rest of the ingredients. 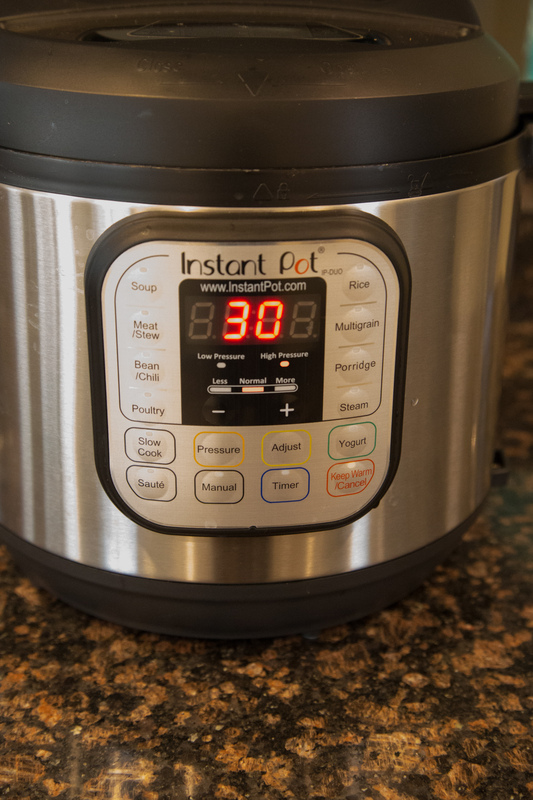 I have a 6 qt instant pot also. Would I be able to fit double the recipe into it? ?